-Water Source Cards: Cards that show the different variations of water sources and whether or not they are safe to drink from. -Photographs: Graphic images of how Guinea Worm affects the human body as well as proper extraction of the parasite. 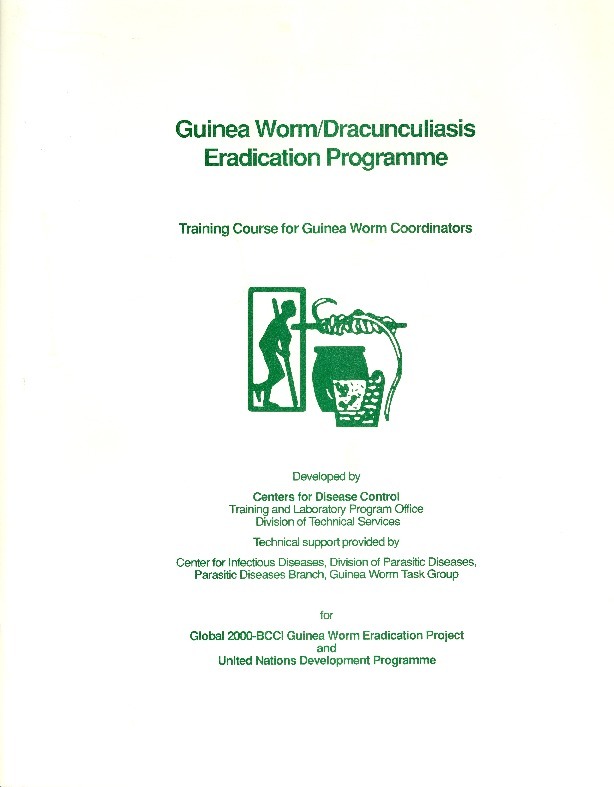 Centers for Disease Control, “TRAINING COURSE ,” The Global Health Chronicles, accessed April 20, 2019, https://globalhealthchronicles.org/items/show/6487.